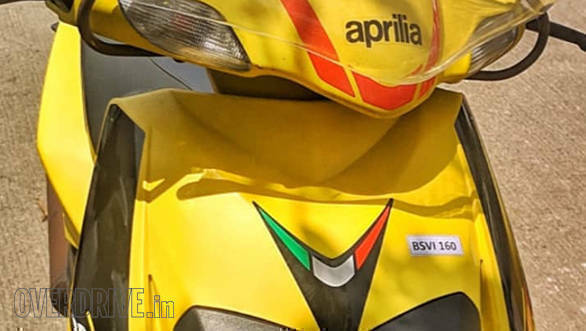 The updated Aprilia SR125 scooter was spotted on test in India. 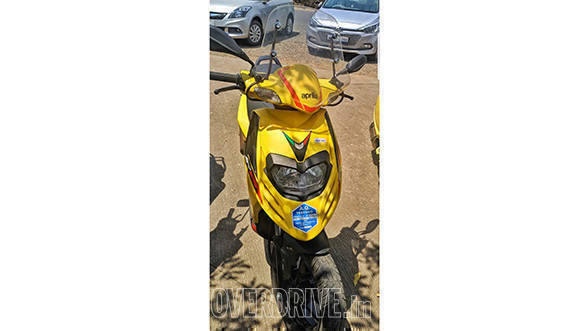 What gives away that the engine is updated to meet the soon to be implemented emission norms are is the BSVI sticker on the panel, however, the production-ready motorcycle will not carry the same. As a part of the update, the scooter could be offered with an optional visor. The Aprilia SR125 is powered by a 125cc engine that produces 9.6PS at 7250RPM and 9.9Nm of torque on 6250RPM. The scooter gets hydraulic suspension setup in the front as well as the rear. The scooter is equipped with a 220mm disc brake up front and a 140mm drum brake setup at the rear and features CBS (Combined braking system). The Aprilia SR125 gets 14-inch wheels with 120mm section tyres on both ends. The Aprilia SR125 rivals against the Vespa Notte, Suzuki Access 125, TVS Ntorq 125 and the Honda Activa 125. Currently, the SR125 CBS priced at Rs 73,701 ex-showroom Mumbai, the prices are expected to be hiked once the BSVI variant is launched in the market.